Photos courtesy of University of Minnesota Athletics. Valentine’s Day will mark a special anniversary for Hannah (Garry) Lechner. But it’s not the kind you might expect. This anniversary is about perseverance, determination, trust and coming back from an injury that looked like it would sideline her hopes of playing college basketball. Hannah says the experience also made her realize something else: That she wanted to one day work for Mayo Clinic. “It helped give me an idea of what I wanted to do after basketball,” she says. “I knew from going through my whole surgical and patient care experience that I wanted to one day work for Mayo Clinic.” She originally considered physical therapy but eventually chose a different path. “After graduation, I started focusing on project management, process engineering and operations, and fell in love with helping patients,” she says. Today, 15 years later, she’s doing just that as a health systems engineer for Mayo’s Division of Systems and Procedures. Oh, and that basketball thing. 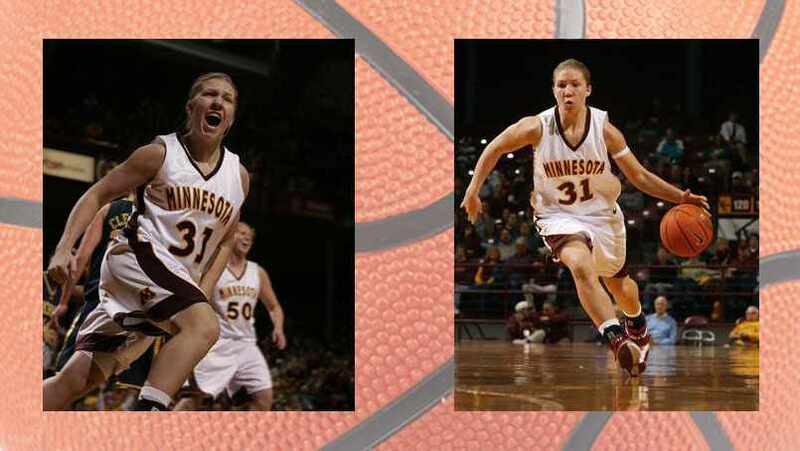 Hannah not only made it back onto the court but went on to play for the University of Minnesota after making the women’s basketball team as a walk-on. You can read more about Hannah’s path to the Golden Gophers here. Then, be sure to let us know what you think about this story by sharing your comments below and by sharing this story with others using the hand social media tools.